Either you have tried it yourself, or you might have seen the (sometimes funny) videos with users wearing those big VR glasses, stumbling around in a room, letting out a surprised “Oooh” as they transcend into an alternative realm, a virtual reality. While virtual reality in many ways and for a long time was confined to games, movies and other sources of entertainment it has also gained a growing following among destination and activity marketers. It lends itself as a great tool to showcase destinations and activities in a never before seen way. It’s fairly inexpensive, with prices for production and equipment coming down to consumer levels, it’s new and it’s a fresh take. It’s the perfect combination for the experiential aspect of destination and activity marketing. With Google, Facebook, Samsung and others pushing the technology, it’s no longer a novelty. VR and AR products are developing into a mainstream consumer product with sales expected to hit 24 million units in 2018 and half a billion by 2025. It’s a channel for destinations and tour operators to use that is here to stay and one that will be in demand. While similar, the two have specific uses. The latter has a more direct application for a marketer. However, the former is also worth covering as it can add value to any operator or destination utilizing its potential in the right way. So, wherein lay the difference? Augmented Reality, or AR, does just that, augments the reality, adding a digital level to a real-life experience. Mostly when the users are at a location or destination and often as a part of a tour or activity through an app in the user’s phone. AR is commonly used as a tool to add a layer of information to the users through instructions, text, audio or video as they pass certain objects in a set area (museums are a great example where AR has seen widespread adoption) or a geographical destination (perfect as a compliment to city guides that want to add a bit of extra value). For example, Poppr, a VR agency, has extended ordinary marketing material (a catalog) with AR – bringing the traveler even closer to their destination in mind. WELC Map takes it further, extending an ordinary paper tour map with in-depth multimedia with the help of AR, showcasing each destination even further. Blippar creates a digital city map app that does something similar to WELC, but here they also integrate navigation as part of the experience. AR can also be used for gamification as a tool to add an element of play in the real world. Gamification makes use of competition or elements of competition which compel us, humans, to follow instructions. A great example is Pokemon Go where the hunt for rare Pokemon’s drove the masses out onto the streets. For operators and destination marketers, it’s a great tool to add an immersive experience to any tour or package. For example, if you run a tour, it can be used to add a small element like doing a quest, finding treasures or collecting virtual items – creating a whole new dimension to an otherwise regular tour. Provider Nexto offers tailored in-app quests, quizzes, and challenges for destinations, utilizing AR to create a new experience through storytelling. What about virtual reality (VR)? What’s all the fuss about? In short, by using VR, a traveler has the ability to stand on the beach one minute and move to the top of a skyscraper in a matter of minutes without leaving the comforts of their home. All it takes is a pair of $30 VR glasses. A simple example are these kangaroos, courtesy of Australia.com, which highlight just one of the locations you can experience if you choose to visit Australia. The implications are obvious for the traveler in an early stage of their customer journey. Even with any corner of the world just a few hours away, there are lots of questions that travelers have about their prospective destination or activity. Many of them can be answered with the help of VR. VR lets you engage travelers even before they have been to your destination or experienced your activity. It’s a direct channel where destinations and operators can showcase bits and pieces of their offering to potential customers from the comfort of their sofa – and in great detail. As content production costs fall and sales of equipment for VR increase, destinations and activity operators gain new opportunities to put themselves in front of potential travelers. As with any marketing activity, content created needs to be compelling and authentic – in this case, creatively showcasing the unique experiences that are offered without creating a virtual replacement. The point of all this? Engage the traveler, moving them further down the funnel. To turn buzz into bookings. A true try-before-you-buy experience. Another example of VR directly used in the experience economy is through the growth of “Escape rooms” providers that have adopted VR as part of their offering. Similar to how tour operators use AR to extend the experience, VR can be used to add a totally new layer of interaction, design, and quirkiness to the escape room experience. An exciting example is how US fast-food chain KFC used an escape room type VR to actually educate their new employees. 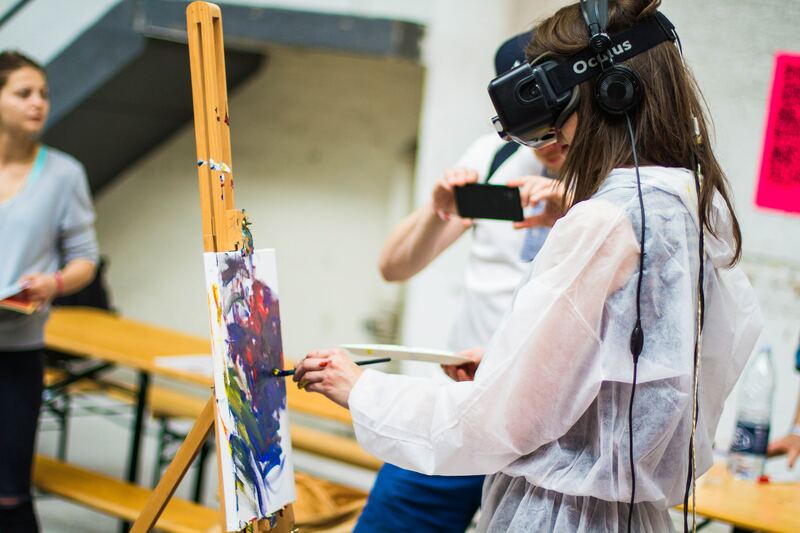 Let’s have a look at a few more noteworthy campaigns where destinations have used VR to add value to the traveler. Canadian ski-resort Whistler has created a virtual tour of its city, where we can have a look around and get an insight what’s on offer in this small little village. Visit Dubai has done a similar thing across the whole of Dubai with the help of famous runner Mo Farah. And finally, we have Los Angeles which has created a citywide VR tour of key attractions to preview before a visit. This article is written by Mikael Uusitalo, founder of adventure travel marketplace Thrillism.com (https://www.thrillism.com). Mikael has also worked for 10+ years in digital marketing and growth. Mikael loves the Alps, deep powder and racing fast on bikes without breaks. Mikael is the founder at Thrillism, a global marketplace for outdoor adventure and activities.